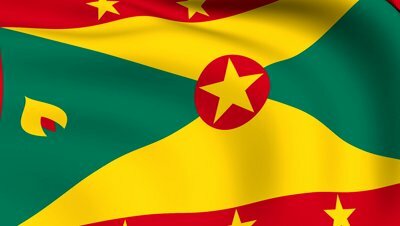 One of the things for which Grenada is infamous is the tendency of one government to ignore, dismiss and dismantle initiatives and projects of a prior administration. Perhaps, it’s because political parties spend so much of their opposition time doing just that — opposing — that they allow themselves no wiggle room to continue programs they so vehemently objected to for years, that to continue them would expose the parties and their leaders as hypocrites; and leave them with egg on their faces. Hence, the People’s Revolutionary Government (PRG), after the overthrow of Eric Gairy’s GULP regime in 1979, put ‘nuff’ distance between themselves and most of Gairy’s government programs. Although, the PRG did expand on at least one — opening up more secondary schools and providing additional free secondary education. To the PRG’s credit, they also embarked on a whole series of new initiatives that had been never before seen in the history of the Tri-island Nation of Grenada, Carriacou and Petite Martinique. These included not just the romantic idea, or the idle talk, of constructing an international airport. But, under the PRG, mountains were knocked down at Point Salines and, with the solidarity and support of the government and people of the Republic of Cuba, work commenced and the airport was near completion in less than five years. One recalls, too, PRG initiatives like adult education via the Centre for Popular Education; the National In-Service Teacher Education Program (NISTEP); the National Transport Service (NTS) that provided cheaper and more efficient transportation countrywide; the establishment of the Marketing and National Importing Board (MNIB) and the National Insurance Scheme (NIS); and government’s backing for what was slowly becoming a flourishing agro-industrial sector. Then came the collapse of the Revolution and the US invasion; what things were not destroyed in the military battle of October 1983 were shoved aside by the politicians who took over in the post-October 1983 period. Maybe, intuitively understanding the positive implications and the potential benefits of the international airport, NIS and MNIB, these were saved. But the PRG’s agro-industry scheme, for example, was not so lucky. It is widely reported that, equipment the PRG used to process mango nectar and other fruit juices, were given away to Dominica whose leader at the time was Dame Eugenia Charles; she was a kind of folk hero for the invading forces and PRG enemies. And, the general lack of continuity in government programs has been sustained over the past three decades. Indeed, part of the reason for the paralysis in execution in the NDC government of 2008–2013 is said to have had its foundation in this attitude of having nothing to do with the previous government. As far as then Prime Minister Tillman Thomas and some of his senior ministers were concerned, all of the projects of the former New National Party government were “corrupt’’ or “evil’’, or both “corrupt’’ and “evil’’. It is against the background of this rather infantile approach to politics that this newspaper wonders aloud at a plan being proposed by the current administration of Prime Minister Dr Keith Mitchell. It’s called the “National Development Plan 2030’’ and it will be launched on Wednesday, 27 May, at the Grenada Trade Centre, Morne Rouge. It’s a model, as explained, to end the herky-jerky approach to development, where each new government starts from ground zero, with completely new programs for improving life and living conditions in our nation. Oliver Joseph, the Minister of Economic Development, puts it this way: “The plan will look at the development strategy for Grenada in the longterm — 15 years: Where do we want to go? What are the key sectors that we need to invest in? What areas of training that our people need to get in order to push this economy and grow the economy?’’ Very noble, for sure. But we are living in a country where there has been no consensus on anything for years and years. This proposed “National Development Plan’’ would, of necessity, have to consider how we treat with our overcrowded capital city, including the constant call for definite action to transform the Carenage into the place of beauty it can be. But on this issue — the future of St George’s — positions are entrenched. Some, it would appear, want to save every old building in the city; while others, who visit the Metropols or live there, seem happy to enjoy the modernity of the Developed World, but argue unceasingly for keeping Grenada as a museum piece for the sake of nostalgia. To be clear, we are not against preservation. But the reality is that we’ll have to lose some things if we are to develop. It is part of the laws of life. Things and people lose parts — humans lose teeth, hearing, sight, etc. — as they develop. The bottom line is that, for the proposed “National Development Plan’’ to work, everyone must be prepared to give and take as we set down the pillars for building coordinated policies and initiatives for the advancement of our nation. And, most of all, let not the discussion on the “National Development Plan’’ end in a pit of political quicksand.